The Trump administration is ramping up pressure against embattled Venezuelan dictator Nicolás Maduro by directly communicating with members of Venezuela’s military and urging them to desert his regime, as the United States also prepares new sanctions against the Latin American country. 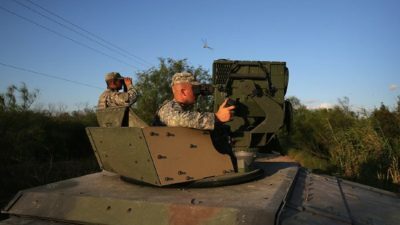 Although only two high-ranking military members have broken with Maduro’s regime to date, the United States believes there will be more defections in the future, a senior official told Reuters. 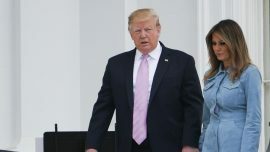 The Trump administration has been a staunch supporter of opposition leader Juan Guaidó, who invoked a constitutional provision and declared himself the country’s interim president last month. Following the United States’ formal recognition of Guaidó, nearly all Latin American countries, major European nations, and dozens of other major powers have followed suit. 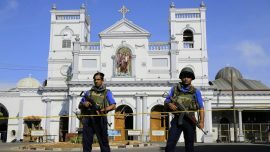 Further details on the level of discussions being held weren’t provided by the official. Venezuela’s military, which consists of four main branches—the national guard, army, navy, and air force—have been crucial to the socialist dictator’s grip on the country, which, in recent years, has weakened as newly obtained documents show that thousands of soldiers have deserted. Despite both escalating international and local pressure, Venezuelan military officials continue to remain loyal to Maduro, because of the wealth they have gained largely from corruption, drug trafficking, petroleum revenue, and business revenue. A U.S. admiral said at a recent Senate Armed Services Committee that Venezuela has about 2,000 generals. 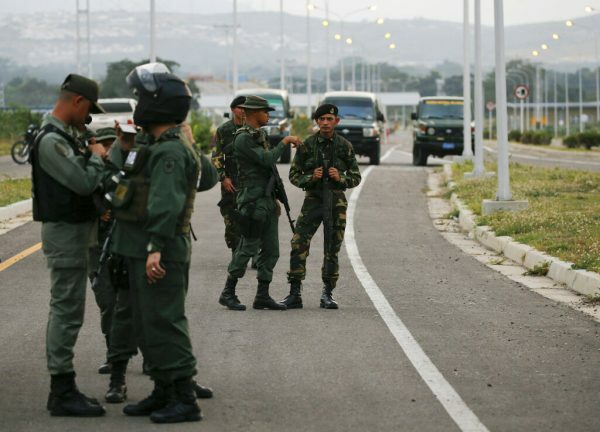 Eric Farnsworth, vice president of the Council of the Americas think tank in Washington, said Venezuelan security forces fear their families might be targeted if they defect. He said the U.S. would need something to counter those concerns. The U.S. official said the Trump administration is readying more possible sanctions on Venezuela after previous rounds targeted dozens of Venezuelan military and government officials, including Maduro himself. Last month, the government placed sanctions against Venezuelan state-owned oil firm PDVSA, which the Treasury Department said has long been a vehicle for corruption for Venezuelan officials and businessmen. 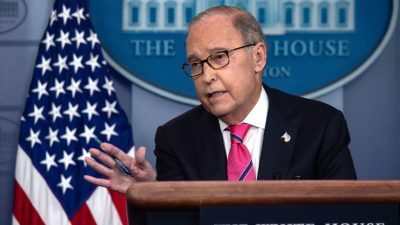 So far, the Trump administration hasn’t imposed so-called “secondary” sanctions that would punish non-U.S. companies for doing businesses with the Venezuela government or their oil firm. Maduro was inaugurated Jan. 10 amid worldwide condemnation that his leadership is illegitimate and that the elections were a sham. He first gained power in 2013 and is now in his second term. Guaidó, in the meantime, has promised fair and democratic elections and is offering amnesty to Maduro’s military forces. Almost 90 percent of Venezuela’s population live below the poverty line and over half of families are unable to meet their basic food needs, according to the humanitarian group Mercy Corps. The UN estimates that by the end of 2019, there will be 5.3 million Venezuelan refugees and migrants. Socialist policies introduced by Maduro and his predecessor, Hugo Chavez, have crippled the oil-rich nation’s once-thriving economy and driven millions out. Maduro, meanwhile, accused Guaidó of staging a U.S.-directed coup, while appearing defiant in a string of recent video posts on Twitter, where Maduro was seen training with his armed forces and visiting air force grounds to quell talk of military defection. 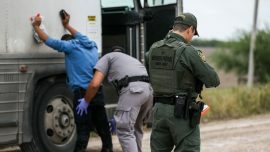 Food and medical supplies from the United States have failed to enter Venezuela after the regime’s military blockaded some highway links. 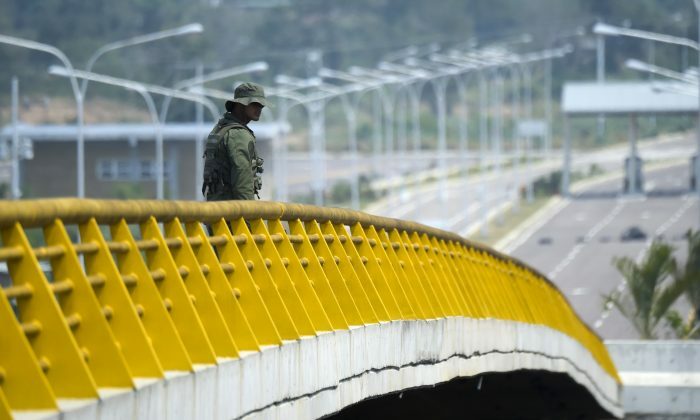 The Tienditas bridge, linking Colombia and Venezuela, is blocked by a fuel tank and cargo containers, but to the south, the Simon Bolivar international bridge between the two the neighboring countries remains open. A group of Venezuelans on Feb. 9 protested on the Colombian side of the Simon Bolivar bridge to call on Maduro to allow the humanitarian aid to pass. Venezuela’s government has rejected the aid. 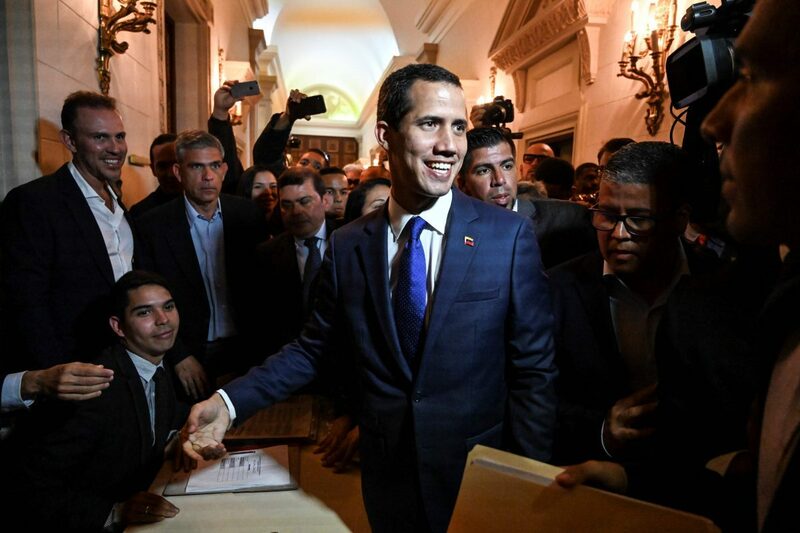 Guaidó on Feb. 8 warned military officers against blocking the arrival of aid as the country struggled with disease and malnutrition. He called those who are blocking the supplies “miserable” and said he would see to opening up access if he had to. Maduro, one day after the supplies arrived in Cucuta, ridiculed the United States for offering small amounts of assistance while, at the same time, maintaining sanctions that block some $10 billion of offshore assets and revenue. On Twitter, U.S. Secretary of State Mike Pompeo said Venezuelans desperately need humanitarian aid and urged Maduro’s regime to let the aid in.